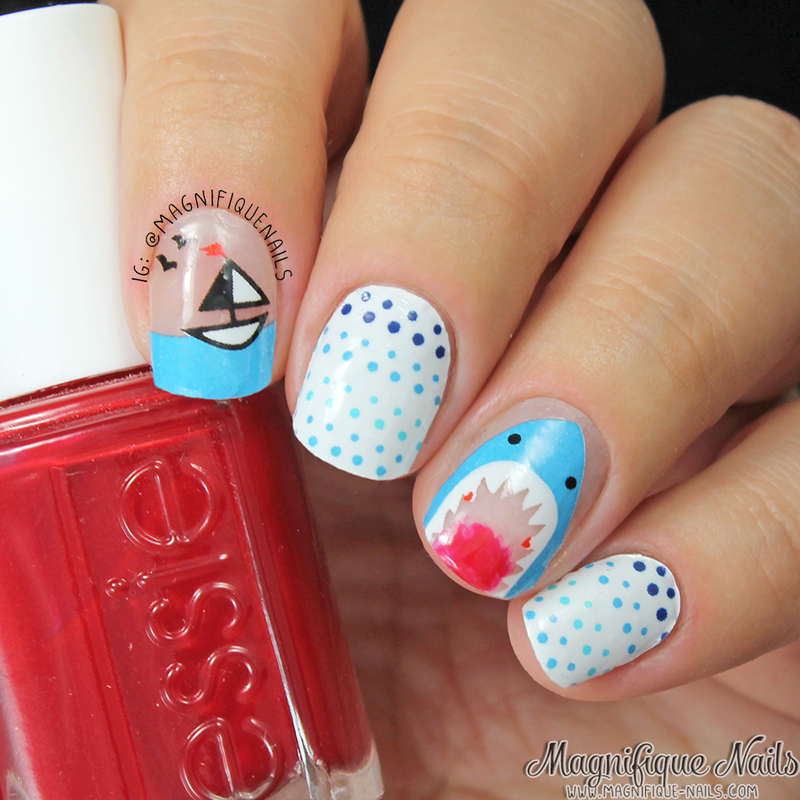 Magically Polished |Nail Art Blog|: Shark Week Scratch Nail Wraps: It's a Shark Attack! 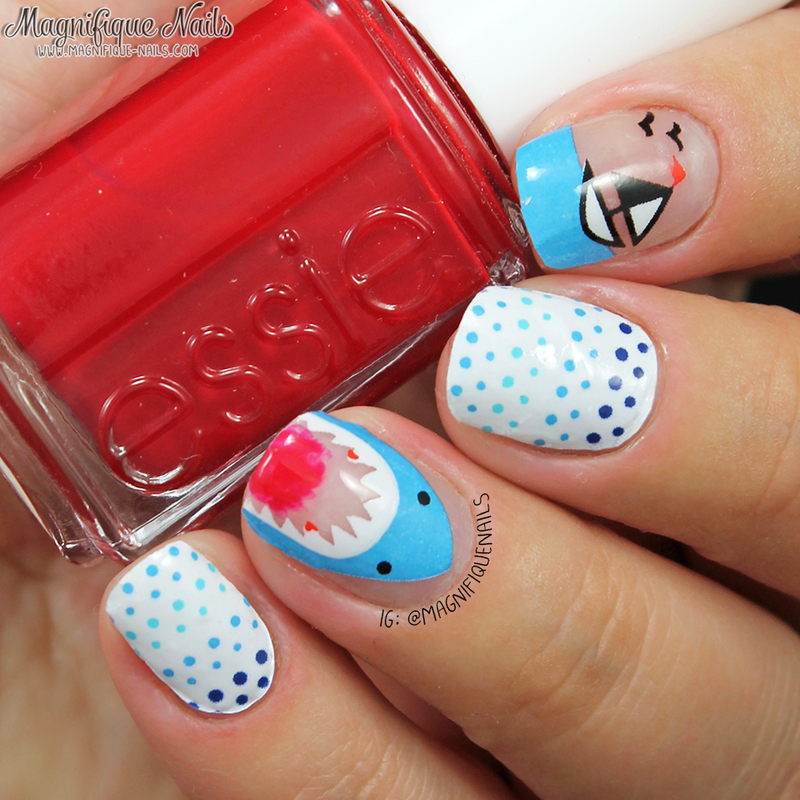 Shark Week Scratch Nail Wraps: It's a Shark Attack! Hi loves!! Yay it's almost shark week (if your wondering its on August 10th ;)! And what a better way to celebrate with some awesome Scratch Nail Wraps. 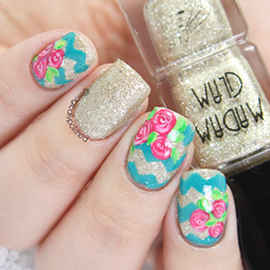 They are the most trendsetting nail wraps in the market, right now. Creating unique designs and collaborating with talented nail artists out to date. Lately I have been on the fence on trying some new nail wraps, but these are absolutely amazing! However, I was very impressed by these specific wraps and was captivated by the various designs they had. 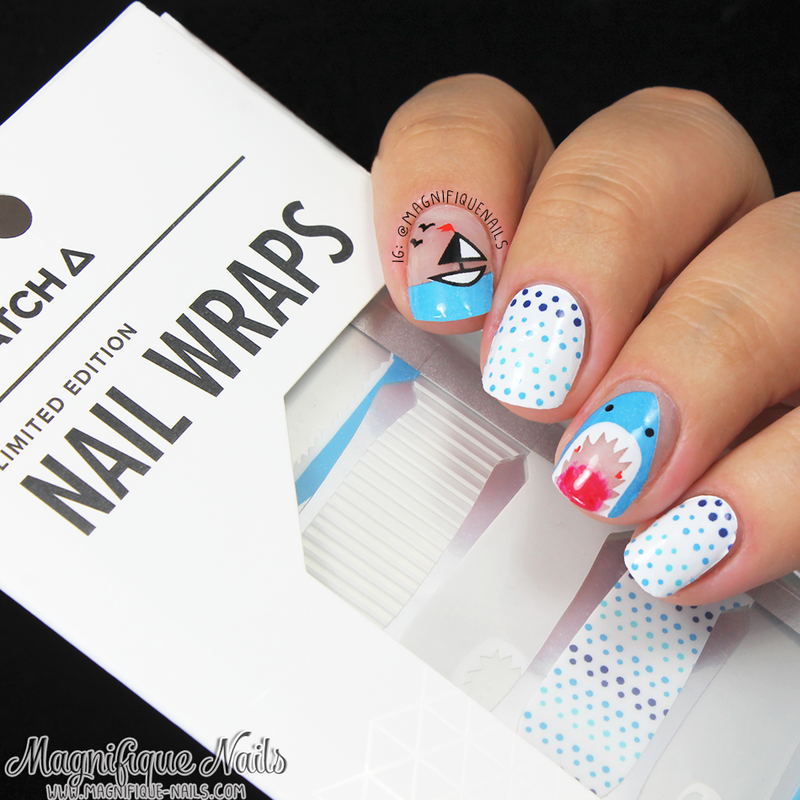 One of the wraps I chose to review is their Shark Week wraps, designed by one of my favorite nail artist and amazingly talented Nina Park of Nina Nailed It. These were super fun and I couldn't resist on picking them. These definitely had a sticker feel, but the application was very easy to use, and are much thinner than most wraps I've tried. 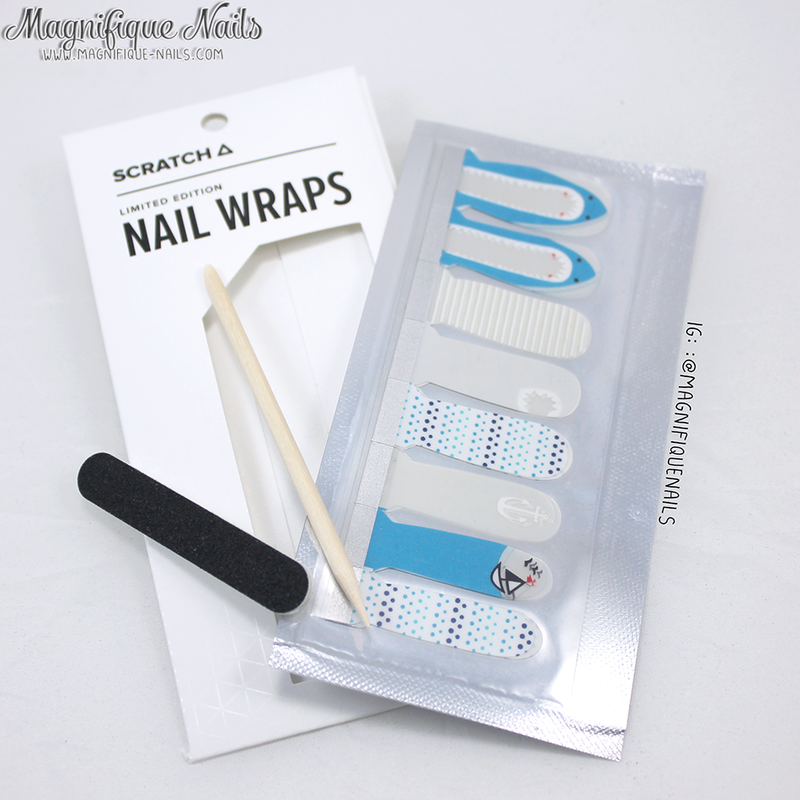 Each size of the wraps can be easily placed over the nails to see how they fit. Which is plus for me, I tend to have shorter nails than most people. These were slightly smaller around my nails, but I stretched a tiny bit so they can fit perfectly. I completely remember the first time I saw this design in Nina's Tumblr. It was one I even saved it to recreate. So I was pretty excited when she collaborated with Scratch Nail Wraps. As you can see on the photo above the products shown, there are plenty of designs to choose from: two sharks, two polka dots, a shark bite, a stripe, an anchor and a adorable boat on water. I used the two polka dots for the middle finger and pinky. 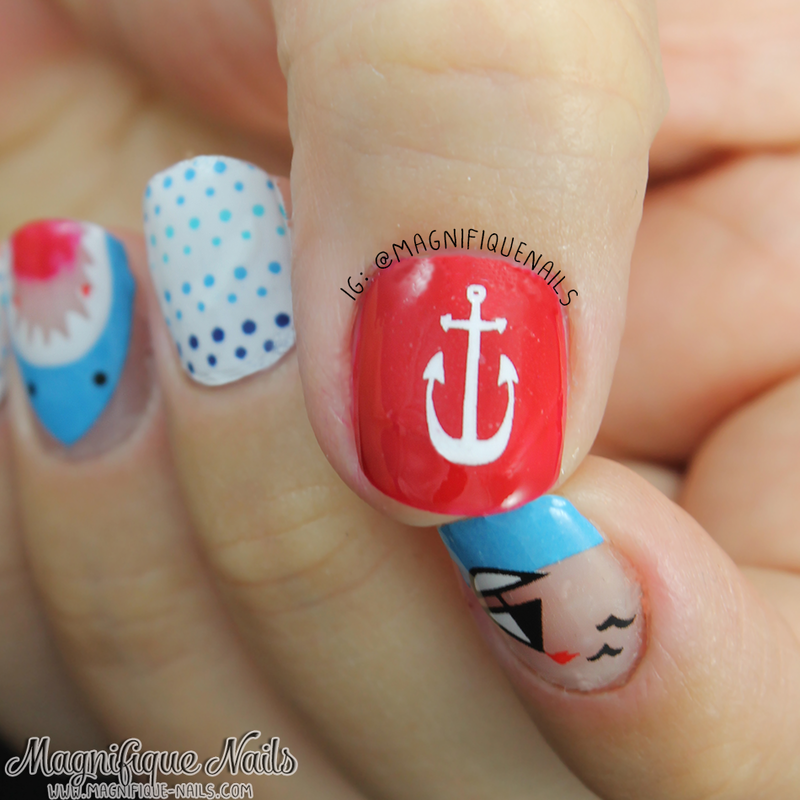 I didn't want to over do it, so I added the boat on my forefinger, and the shark on the ring finger. One of the great things about these wraps, is the clear base on most of them. You can apply a base color or create a unique design. For the thumb, I applied two coats of Essie Tiny Wine-ey. Once the polish was completely dry, I added the anchor wrap over. I even added a dab a small amount of red polish, as if the shark eaten something. I've always wanted to that haha!